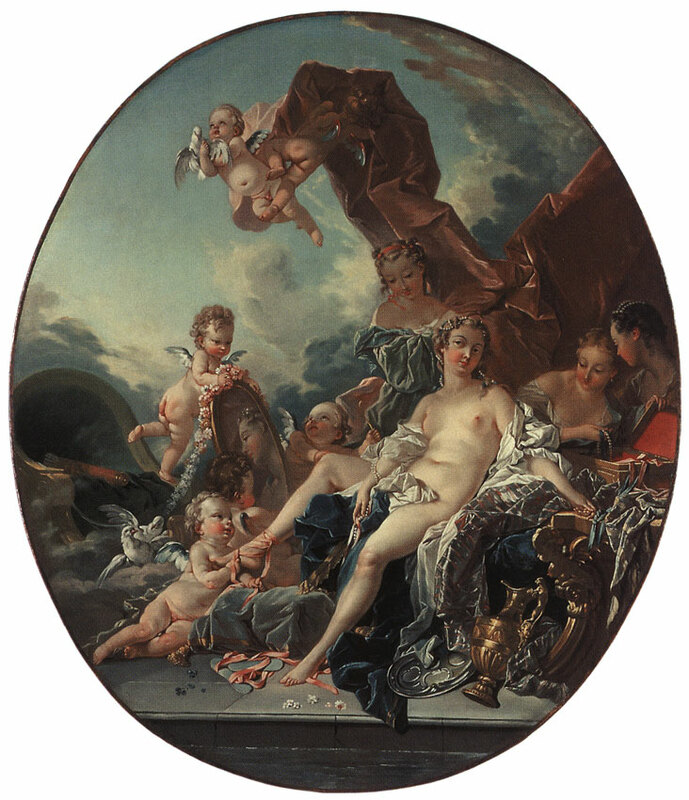 By François Boucher (Circle) (1703—1770). Oil on canvas. 101 × 86.5 cm (oval). Saint Petersburg, The State Hermitage MuseumInv. No. ГЭ 7655. Oil on canvas. 101 × 86.5 cm (oval). in 1932 were returned to the Hermitage Museum. © Photo, text: Antichnoe nasledie v iskusstve Zapadnoi Evropy. Katalog vystavki. s. 70—71 cat. No. 61.